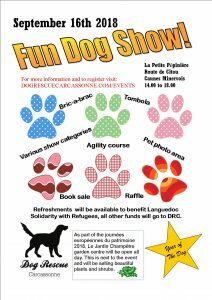 Home / Events / At last, Dog Show News! At last, Dog Show News! Today was a Bank Holiday in France (Assumption Day), and although the refuge was shut, there were quite a few people there walking dogs and cuddling cats. Thanks to everyone who gave up their time today to make the animals’ lives a bit better. And yes, we know what you are thinking. Things HAVE been very quiet on the adoption front this week. However we are expecting good news tomorrow and more on Friday. In the meantime, though, we have news of an upcoming event. 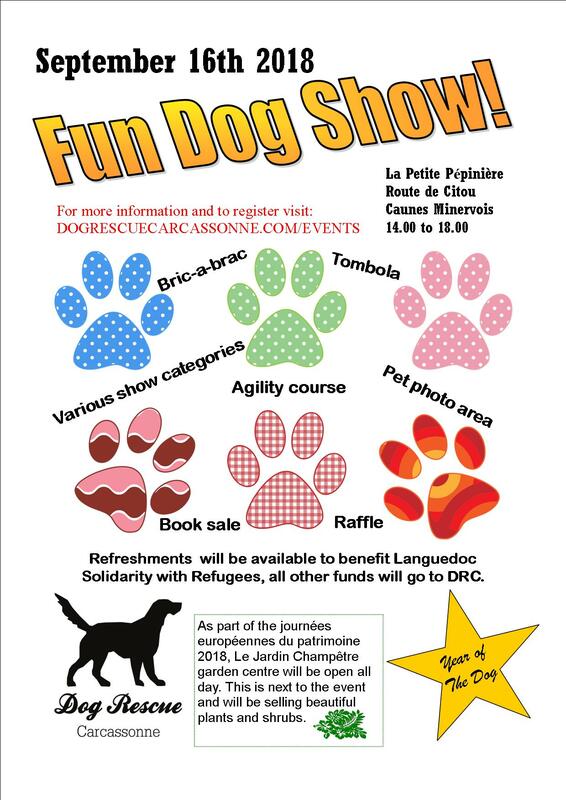 Back by popular demand we proudly present the next DRC Dog Show! YIPPEE! The first dog show event took place in June last year, and was a huge success. This year rather than being merely one attraction at someone else’s event, the lovely women at La Petite Pepiniere have saved the whole afternoon just for us. So we will be able to spread out a bit, and have even more fun! As you can see, we will have other stalls for people to peruse while waiting for their dogs’ events. There will be a small agililty course, and our ace photographer Marketa will be there to take pictures of you and your hounds. Refreshements will be available (to benefit Longuedoc Solidarity with Refugees), and Le Jardin Champetre will be open next door so you can stock up on plants and shrubs too. 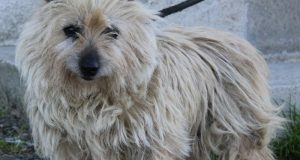 They recently adopted Jenka (who was called Ficelle at the ScPA) and so if you are lucky she might make a guest appearance. 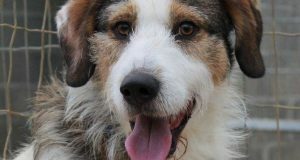 But in any case, there will be plenty of ex-refuge dogs around the place, as well as other stalls and some surprises. 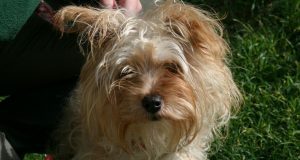 Again there will be prizes for the winning dogs in the various categories. As was the case last year, the whole day will be more for fun than anything. We don’t really pretend to be Crufts. Rather it is am enjoyable way to get together and see each others’ dogs in a beautiful setting, and hopefully to raise lots of funds for the dogs at the refuge. There will be more details available in due course, but in the meantime, please keep the afternoon of Sunday 16th September free so you can come and join us. Next: Adoptions of Fly and Gus.